Cities in Sub-Saharan Africa are unequally confronted with social, economic and environmental challenges, particularly those related with population growth, urban sprawl, and informality. This complex and uneven African urban condition requires an open discussion of past and current urban planning practices and future reforms. Urban Planning in Sub-Saharan Africa gives a broad perspective of the history of urban planning in Sub-Saharan Africa and a critical view of issues, problems, challenges and opportunities confronting urban policy makers. 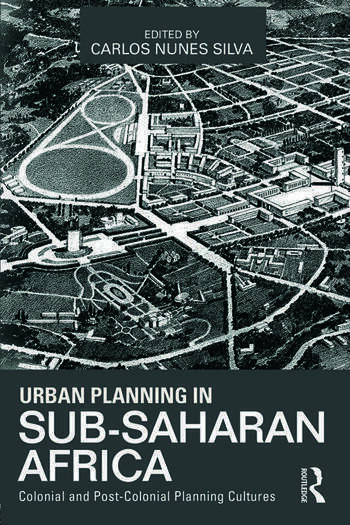 The book examines the rich variety of planning cultures in Africa, offers a unique view on the introduction and development of urban planning in Sub-Saharan Africa, and makes a significant contribution against the tendency to over-generalize Africa’s urban problems and Africa’s urban planning practices. Urban Planning in Sub-Saharan Africa is written for postgraduate students and advanced undergraduates, researchers, planners and other policy makers in the multidisciplinary field of Urban Planning, in particular for those working in Spatial Planning, Architecture, Geography, and History. Carlos Nunes Silva is Professor Auxiliar at the University of Lisbon at the Institute of Geography and Spatial Planning in Portugal. Silva is also editor-in-chief of the International Journal of E-Planning Research (IJEPR).